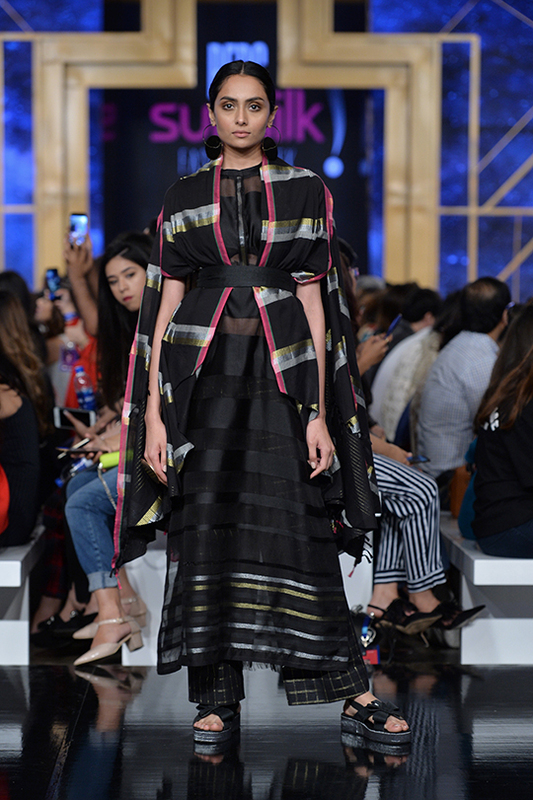 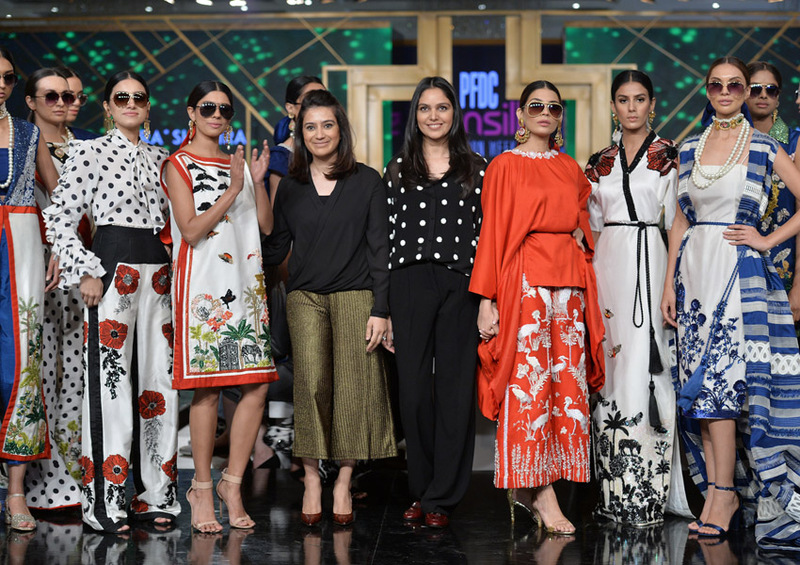 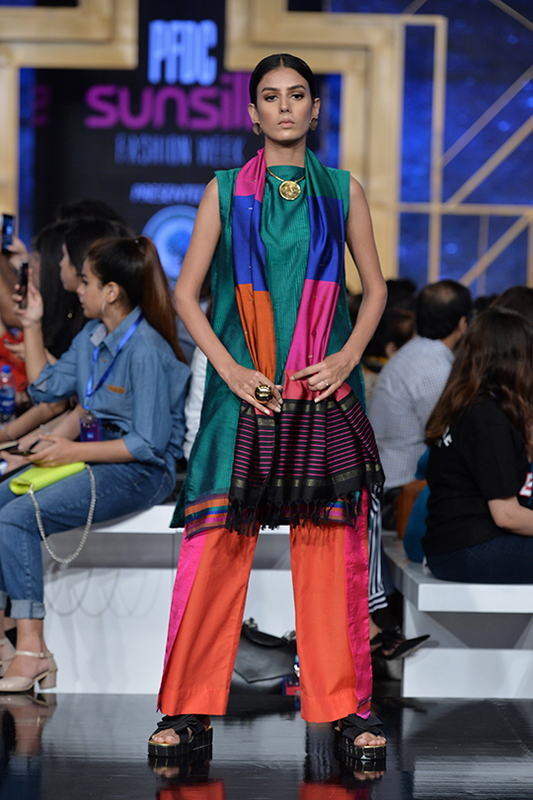 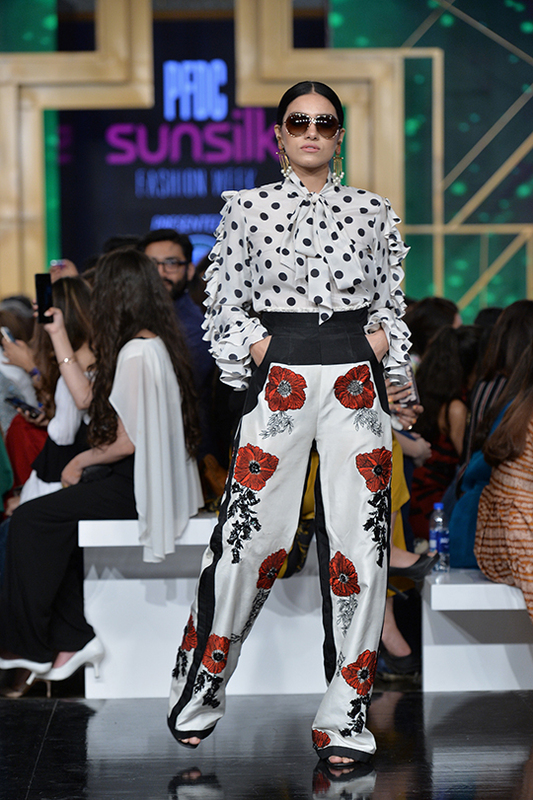 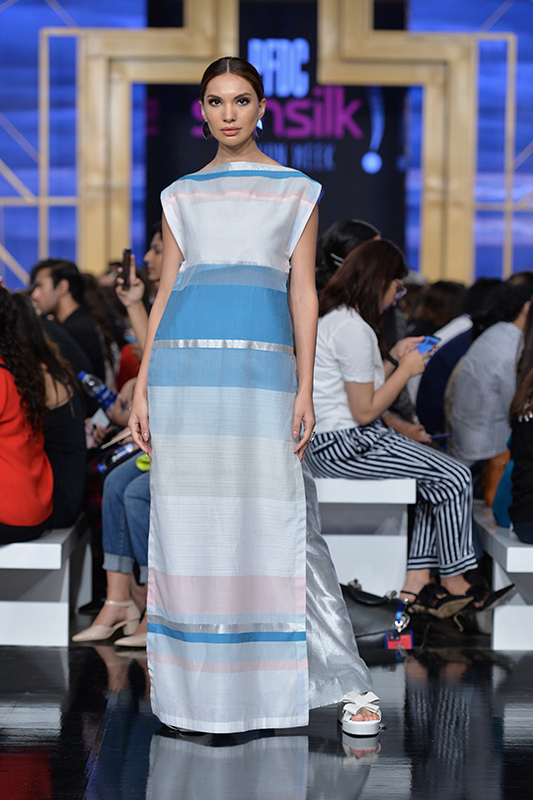 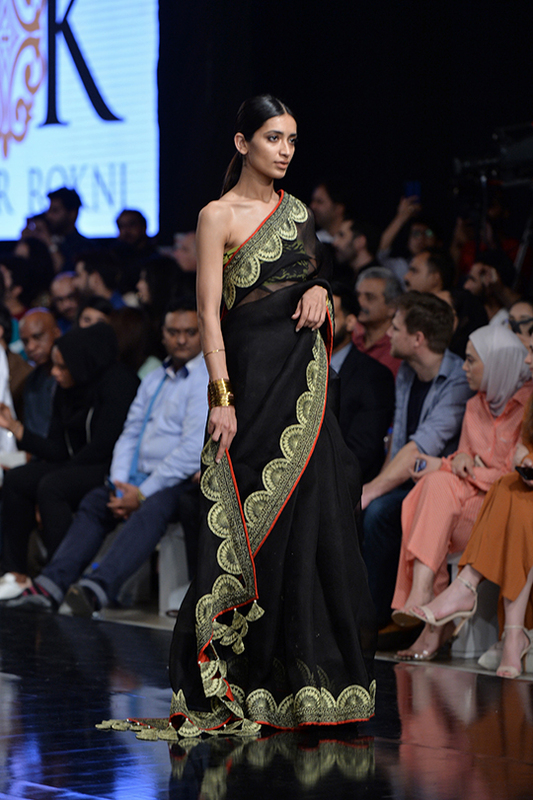 Project Runway: PFDC 2019 Day 2 Top Picks- Chapter 2, Kamiar Rokni, Saira Shakira and Sana Safinaz! 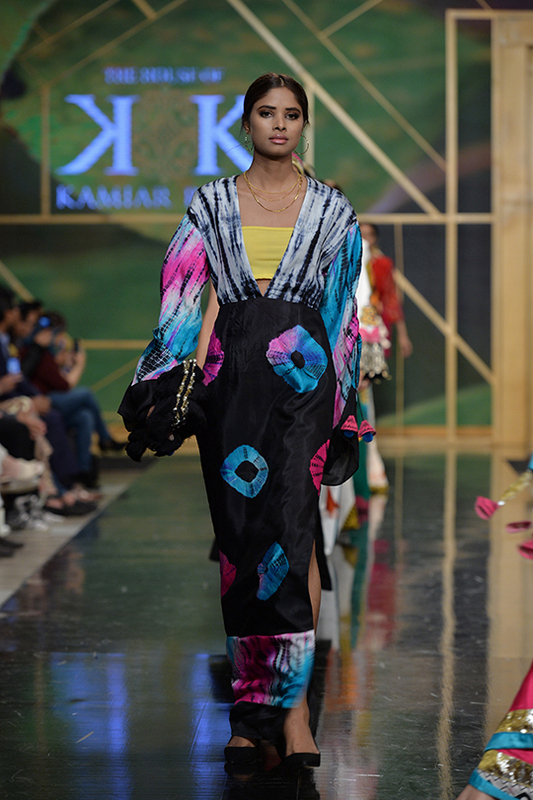 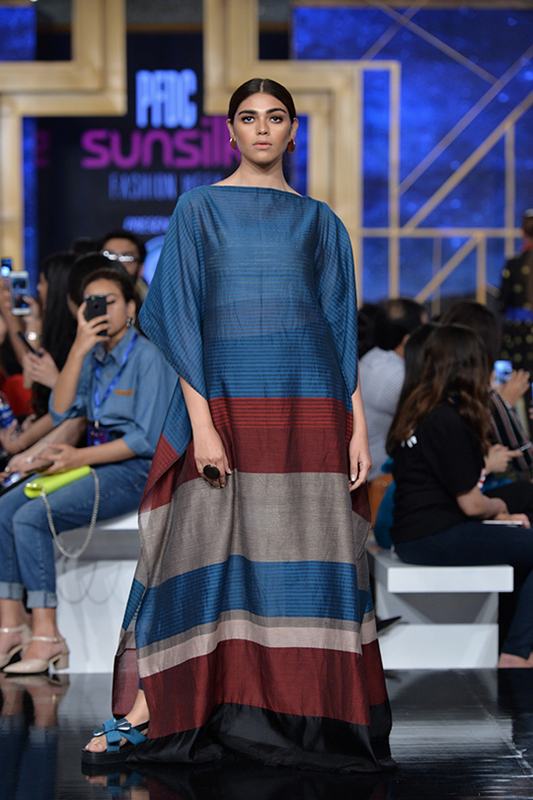 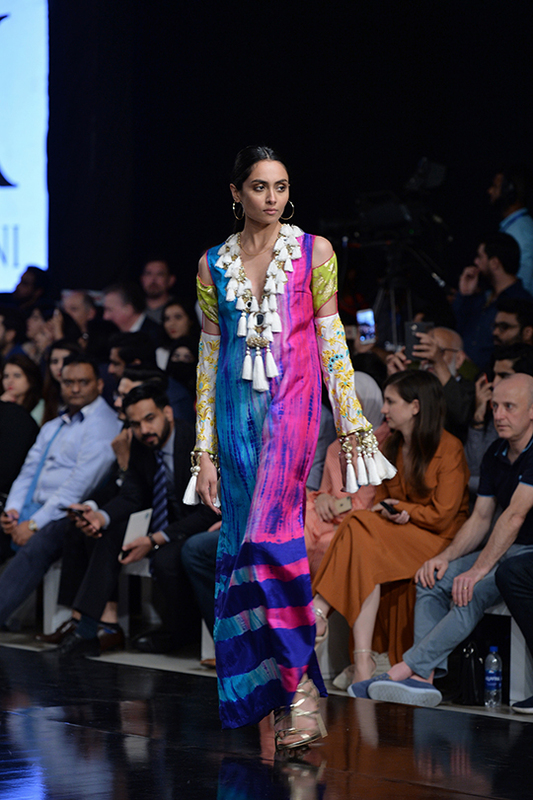 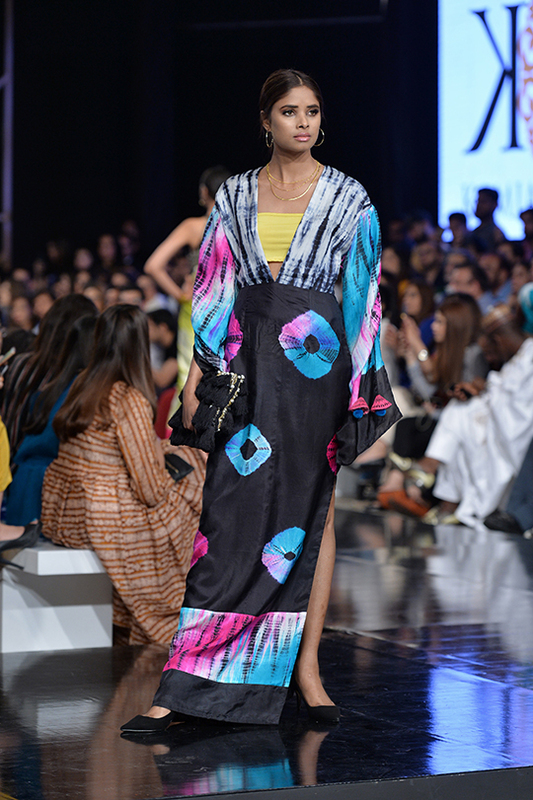 Known for always upping up their design game- Khaadi’s sister label Chapter 2 decided to Blend Time And Art Into Threads Of Time: Inspired by the artisan and his craft, the 2019 Spring/Summer collection was spun around time, colour and balance. 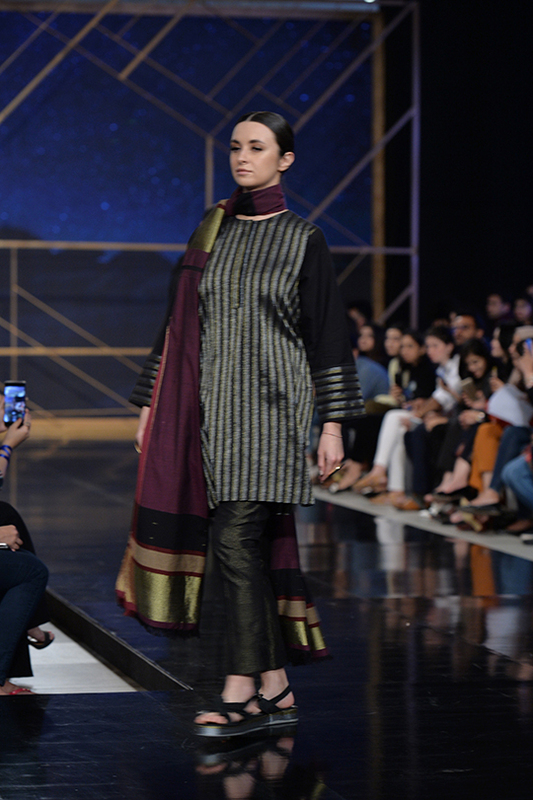 A labour of love, handwoven fabric is an art that requires time and patience. 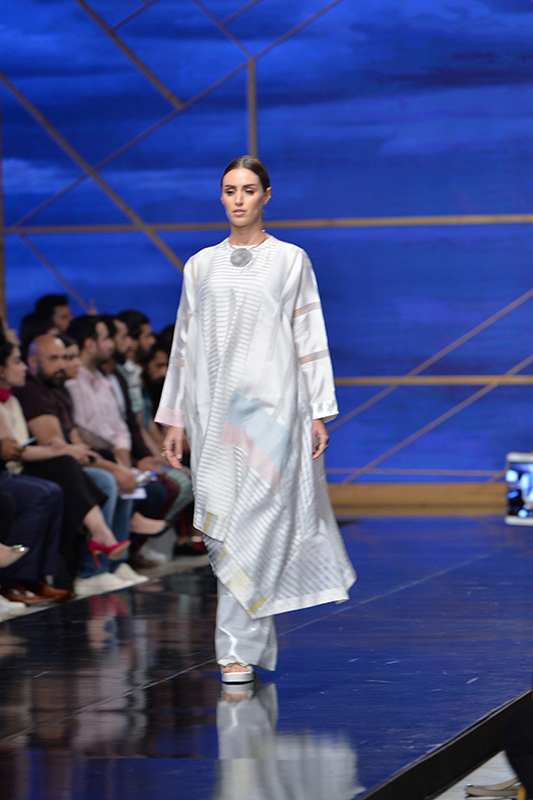 The design team incorporated Color blocking, classic whites with pops of colors, pastel hues with contrasting golds were worn by the models as they strutted down the runway; making these looks ideal for the summer when one looks to don easy, breezy summer ensembles. 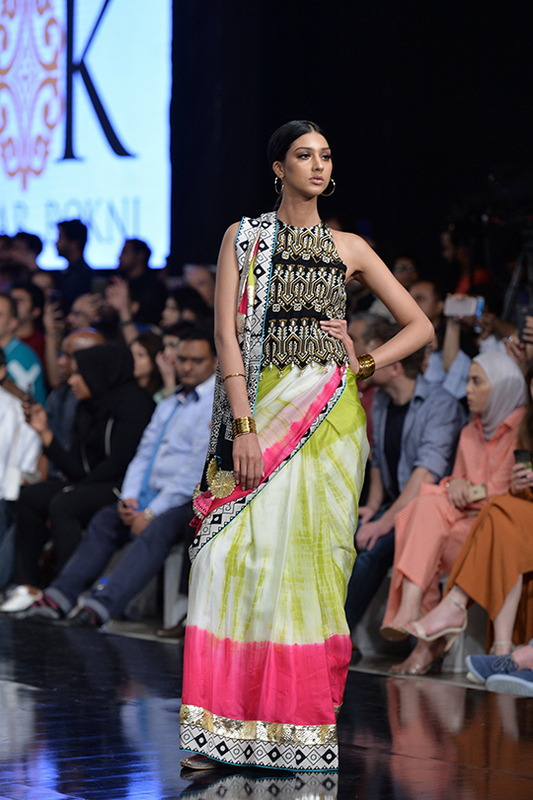 A highly anticipated collection we couldn’t wait to witness- The House of Kamiar Rokni introduced a diffusion collection. 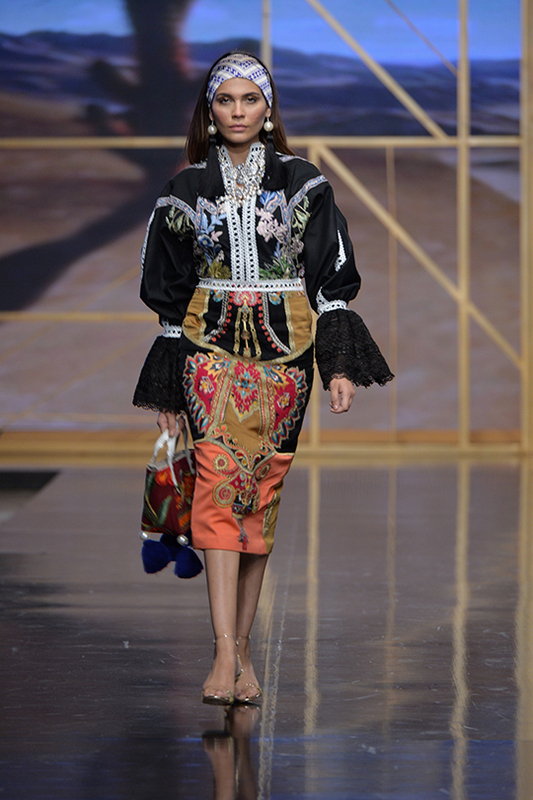 Best described as Neo-folk, the collection was a celebration of ethnicity within a traditional yet global narrative. 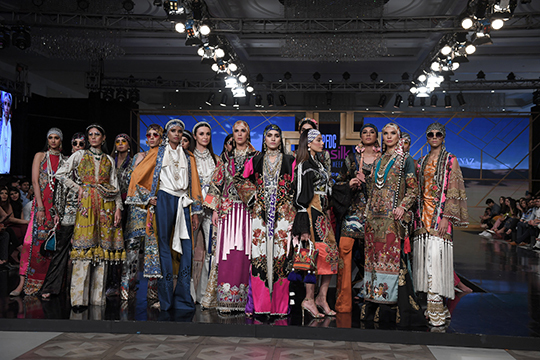 Staying true to his eccentric yet traditional sense of design- The collection incorporated multiple traditional textiles and treatments using the ancient art of block printing, the hippie chic sensibility of tie & dye and the richly decorative fabric of brocade, he presented a collection that featured old age eastern craftsmanship, within a modern sensibility. 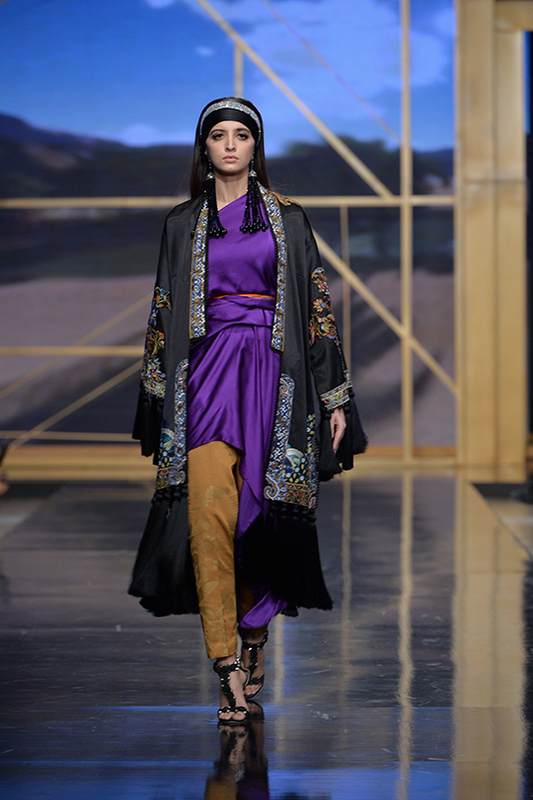 From casual to luxury evening and formal wear. 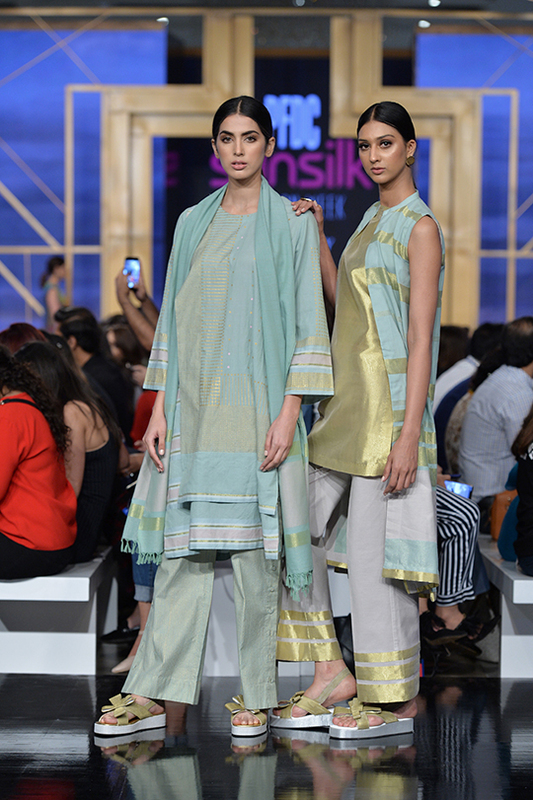 Based in cottons, silks and organza’s- the line was a breath of fresh air and definitely featured looks that are ideal for summer soiree’s! 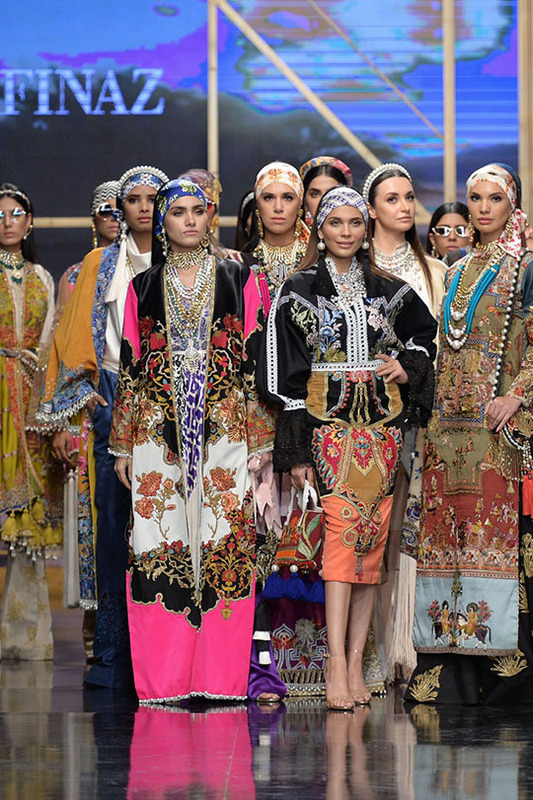 Saira Shakira introduced ‘The Secret Garden’ which was an amalgamation of variety of crafts and ornamentation techniques using sequins and oodles of Brazilian embroidery. 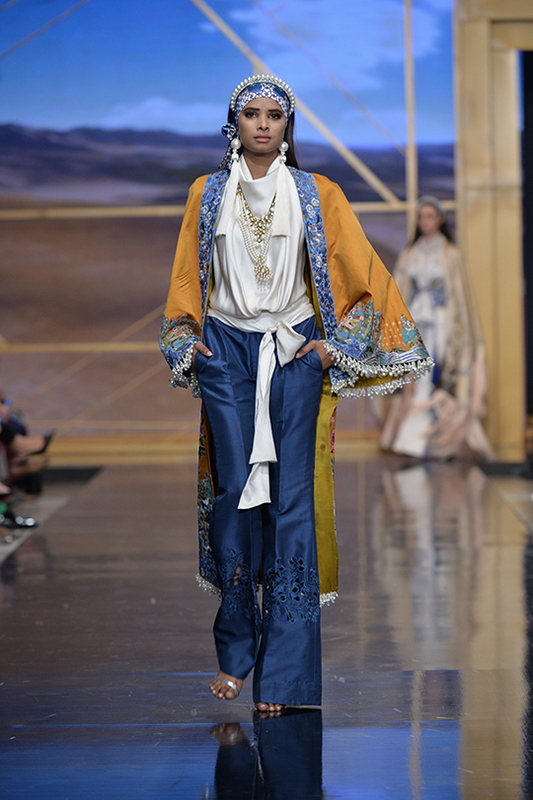 A technique that truly caught our attention- done on bold shades of burnt orange, ivories and electric blues; these outfits were designed using antiquated aesthetics that evoked an aura of the wild and the free. 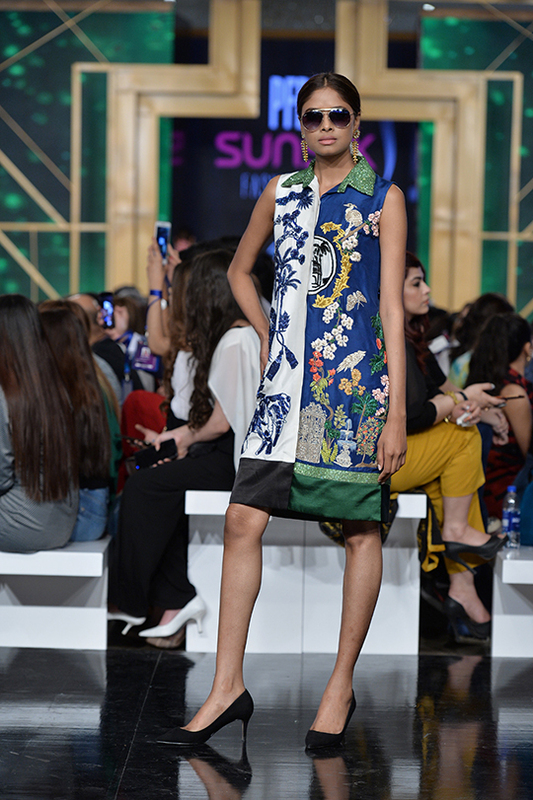 All pieces from this collection were a creation straight out of the wildlife garden, unparalleled in terms of glamour, flora and uniqueness. 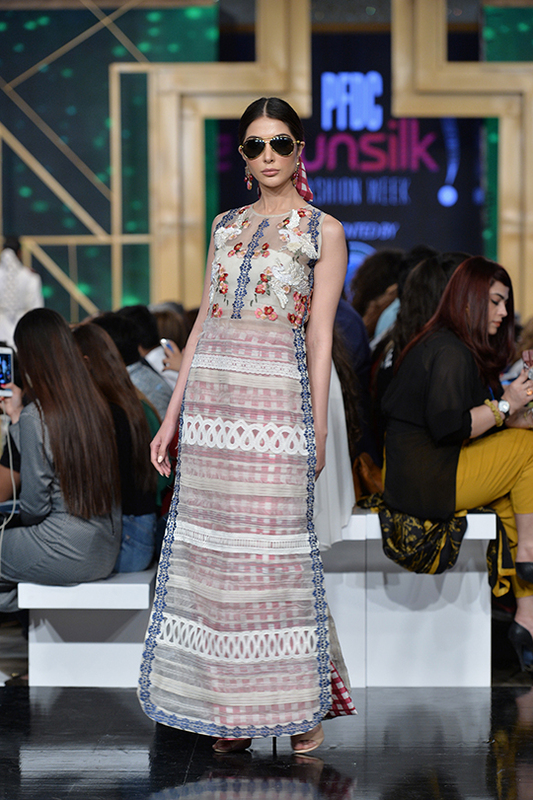 Giving us major vacay vibes we can’t wait to see our favorite fashionistas sporting these looks while out and about- perhaps draping themselves in one of Saira Shakira’s embroidered shift dresses or heading to Sunday brunch in a boho chic maxi dress! 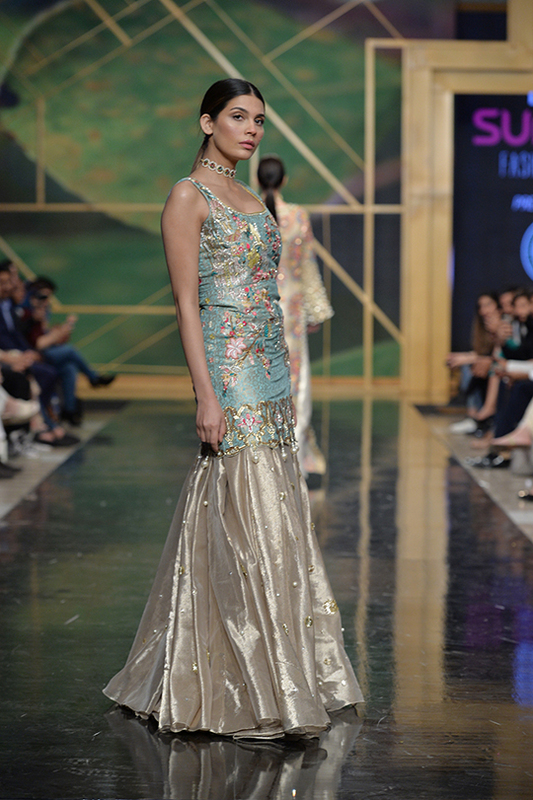 Sana Safinaz presented Boheme Luxe, a bridal pret collection. 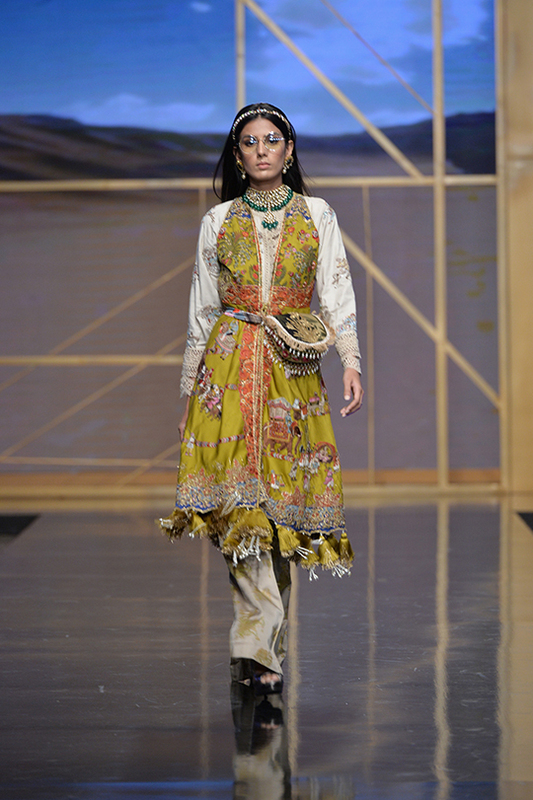 This capsule was inspired by color palettes from Afghan carpets and rugs with references to Mughal art and architecture. 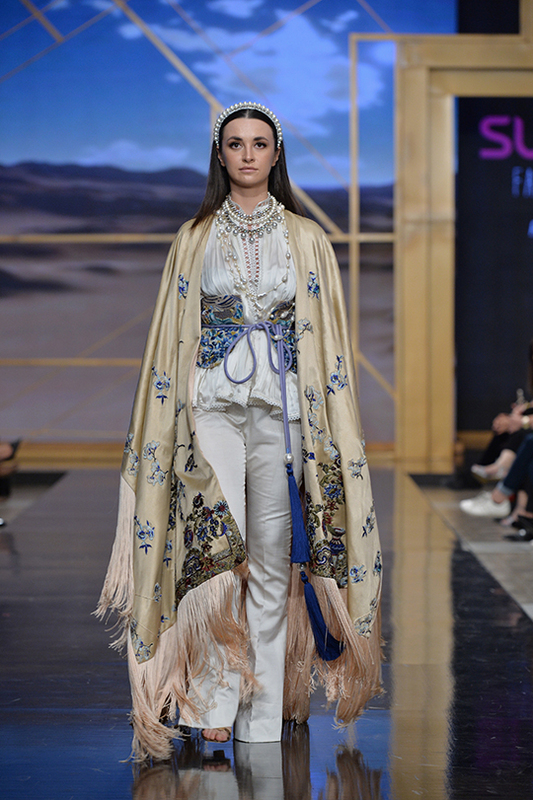 Boheme Luxe reinterpreted traditional bridals and fused them with modern boho-chic for relaxed glamour and easy elegance. 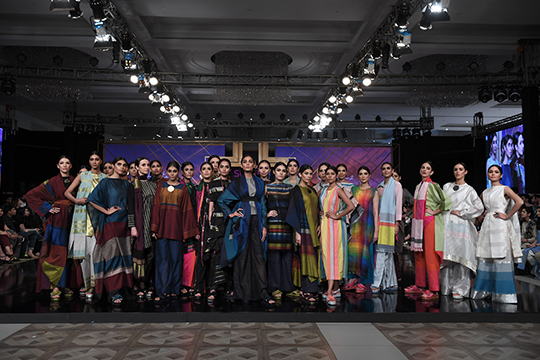 A collection that focused on layering different textures, fabrics and colors- the collection was versatile in it’s own light! 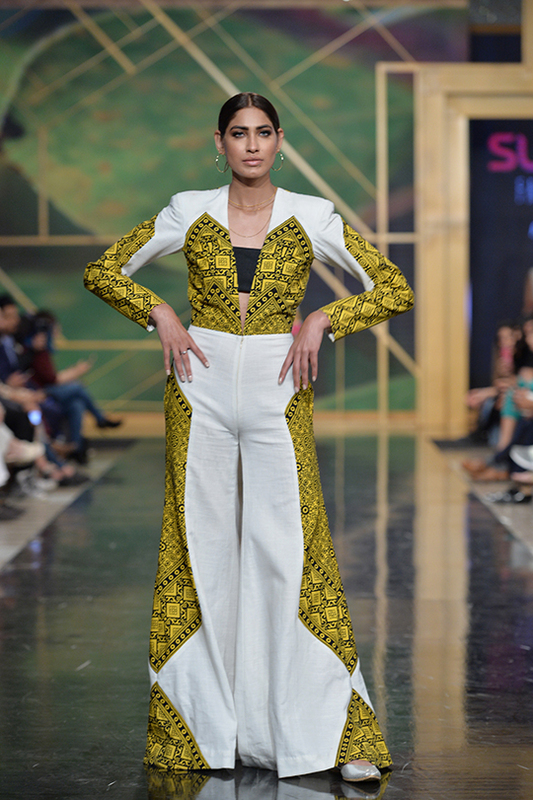 Whether you simply wear their ruched top with a pair of cool blue pants or add their chrome yellow coat to jazz it up- The cuts and silhouettes merged seamlessly with the variety of fabric, embellishments and thread work used, created the signature luxe of the Sana Safinaz bridal. 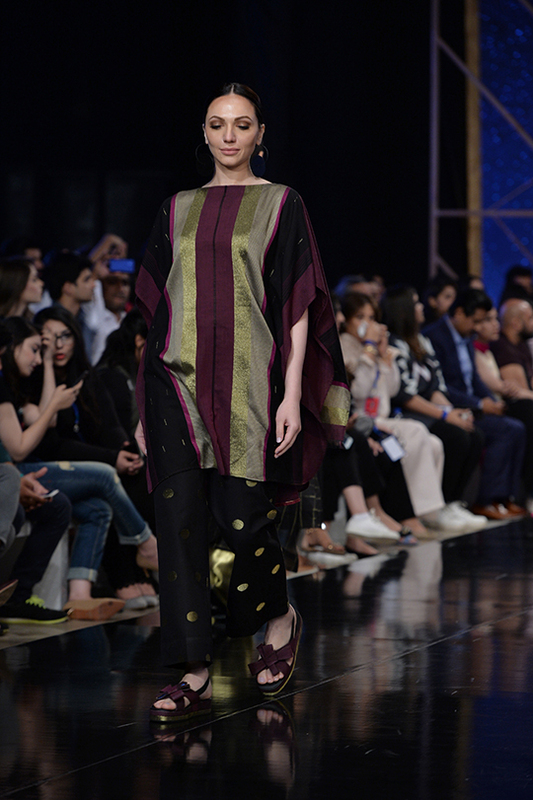 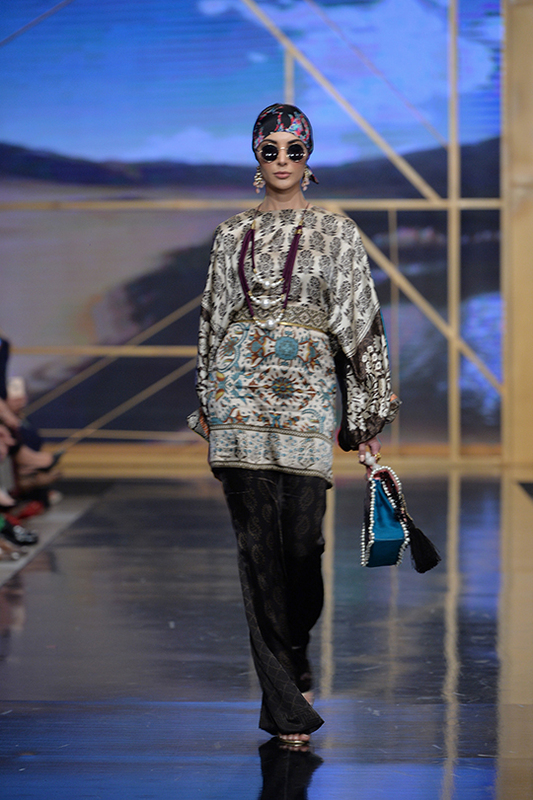 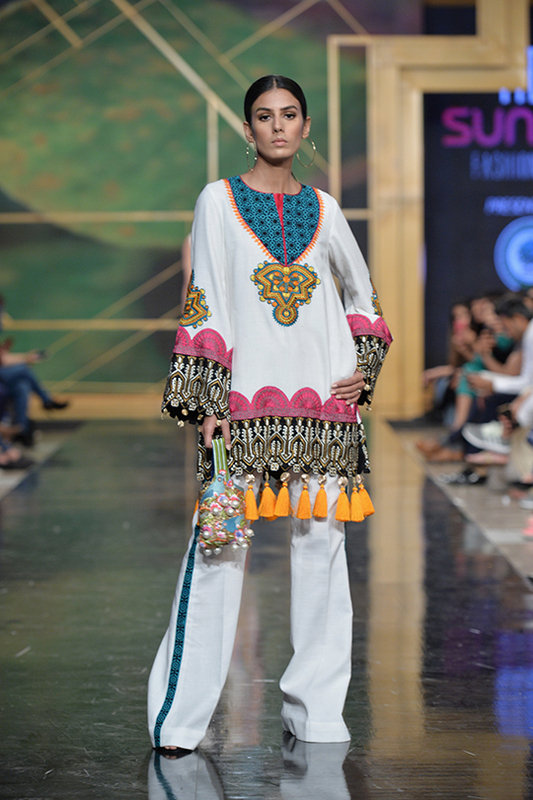 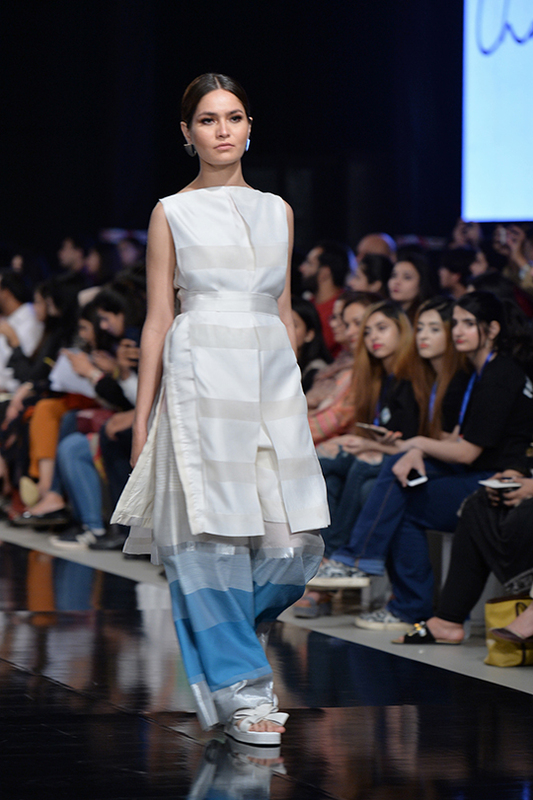 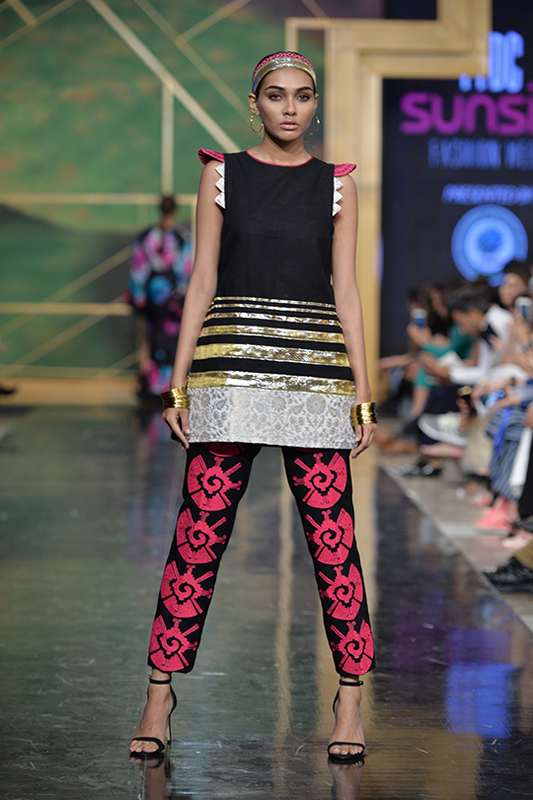 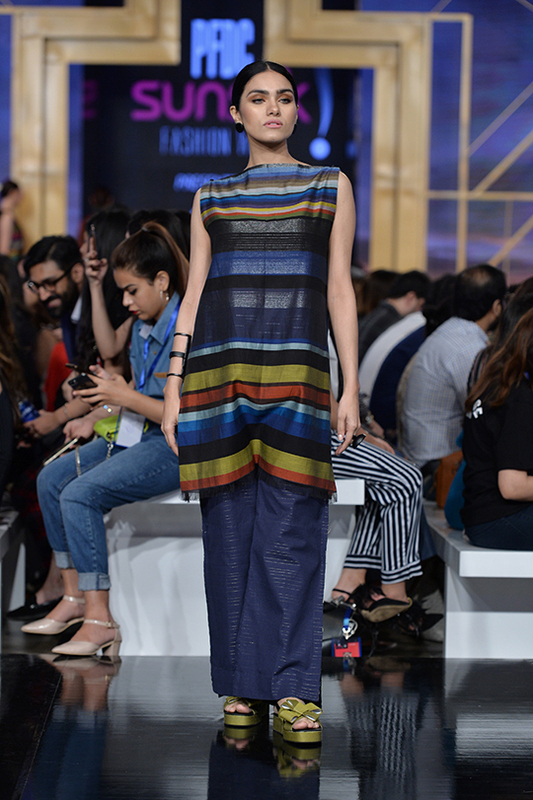 Zaha By Khadijah Shah, Nomi Ansari and Republic By Omar Farooq Showcase at Day 3 of PFDC! 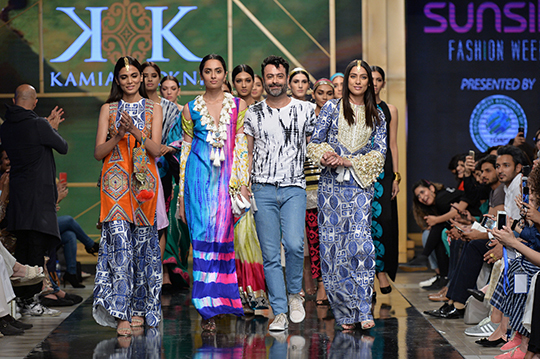 Rizwan Beyg, Natasha Kamal, Khaadi Khaas and Sana Safinaz Close Day 3 Of Pantene HUM Showcase! 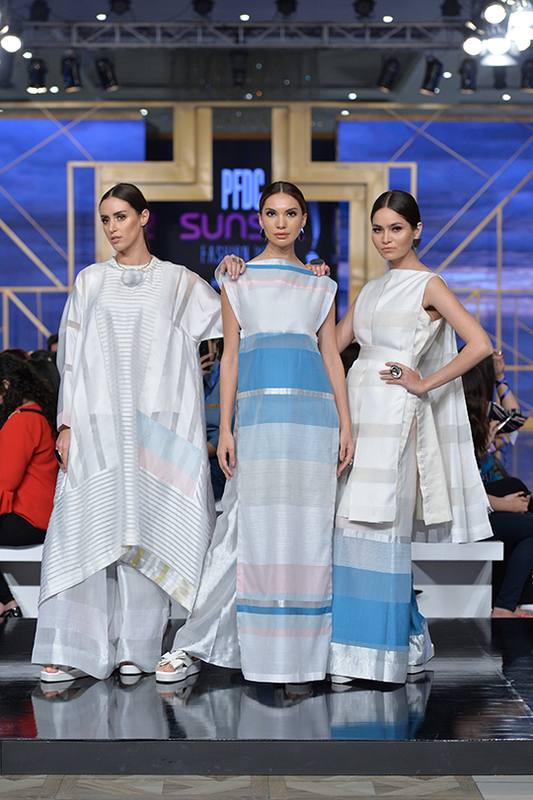 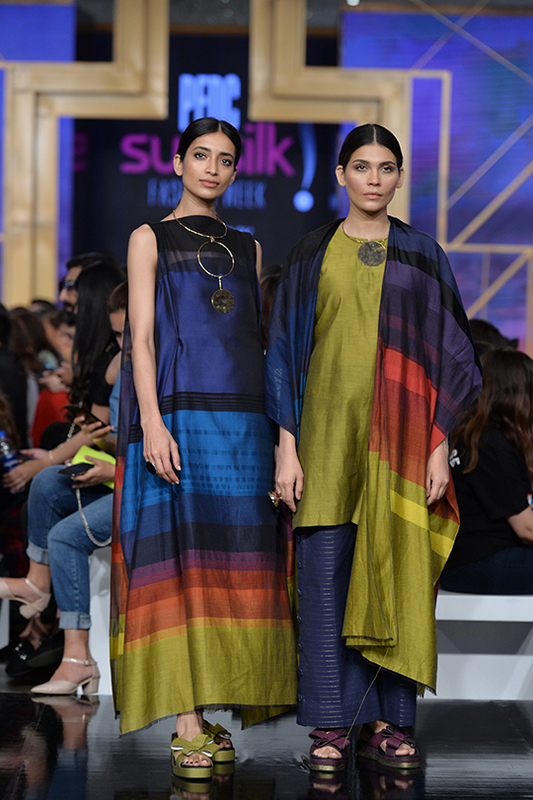 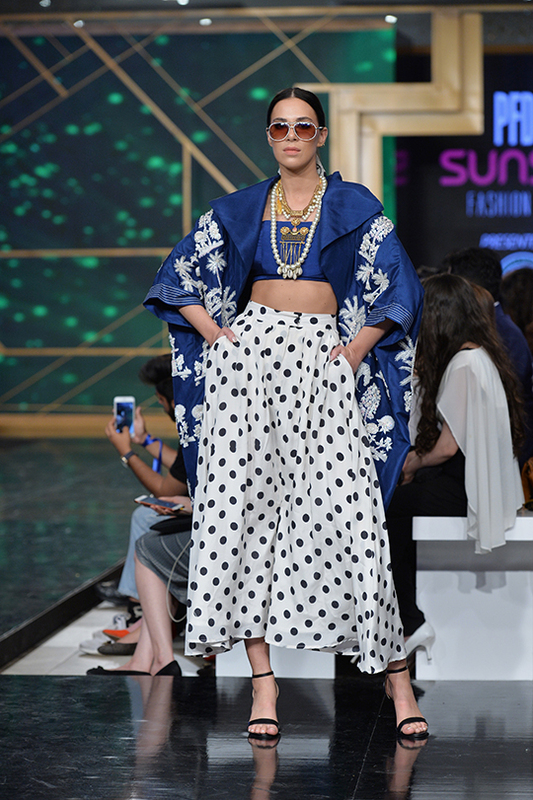 Neelo Allawala, HSY and Mahgul Shine On Day 2 Of Pantene HUM Showcase! 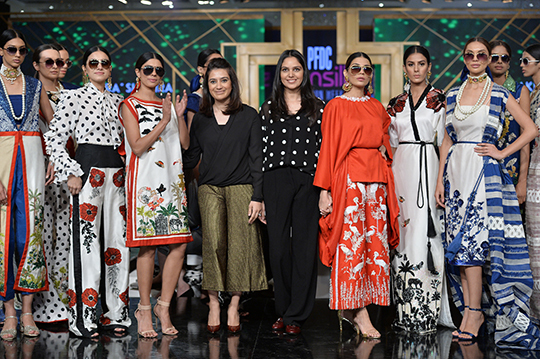 The second day of Pantene HUM showcase brought on a variety of trends which curried favor with everyone’s style quotient…. 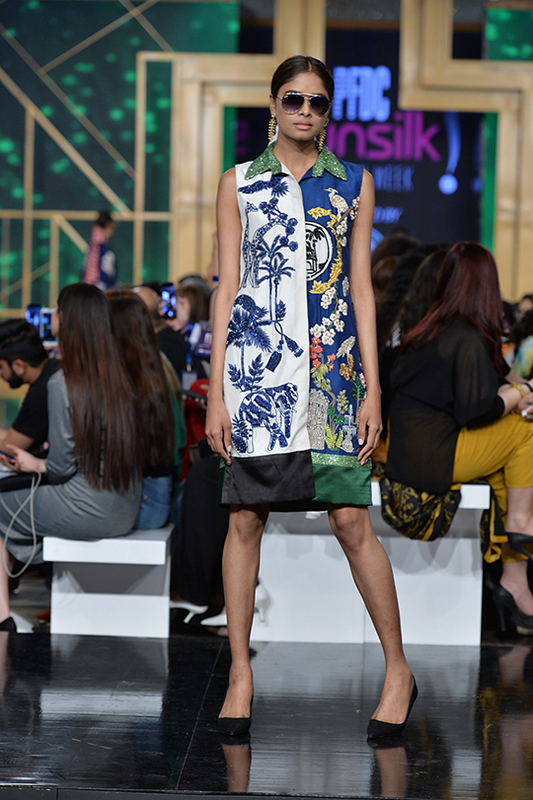 Project Runway! 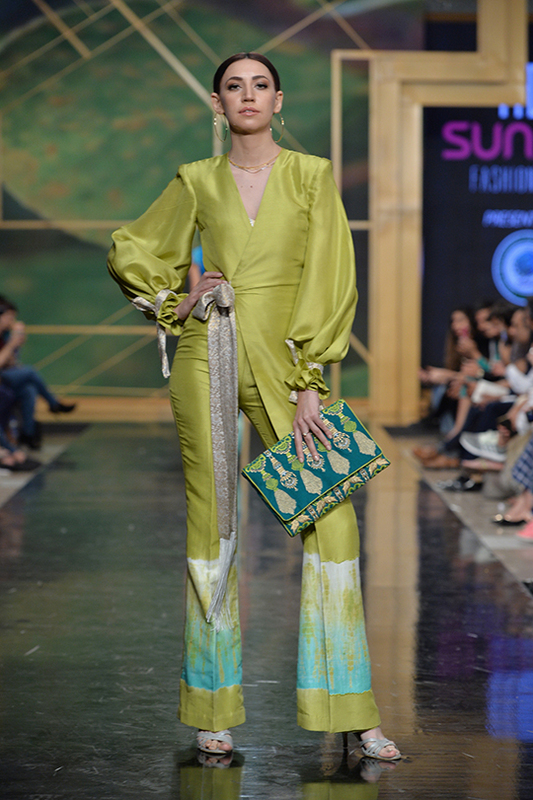 : Image, Zaheer Abbas and Sublime by Sara Ignite Day 1 of Pantene HUM Showcase! 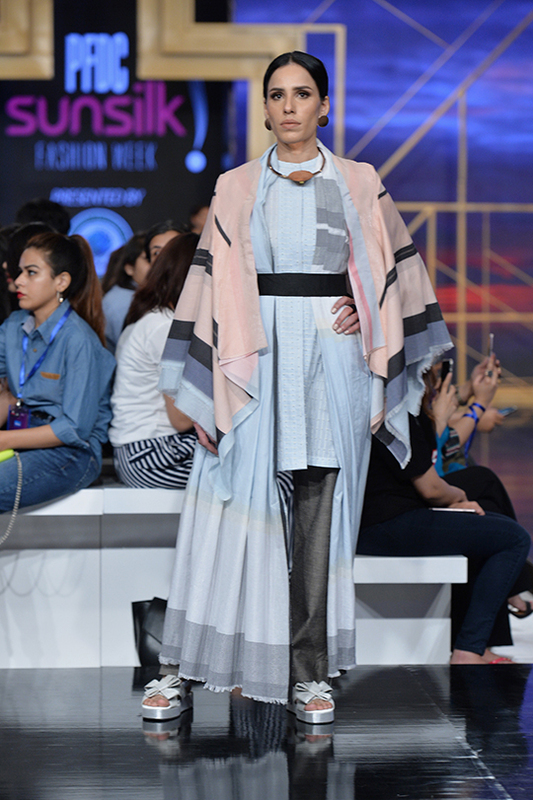 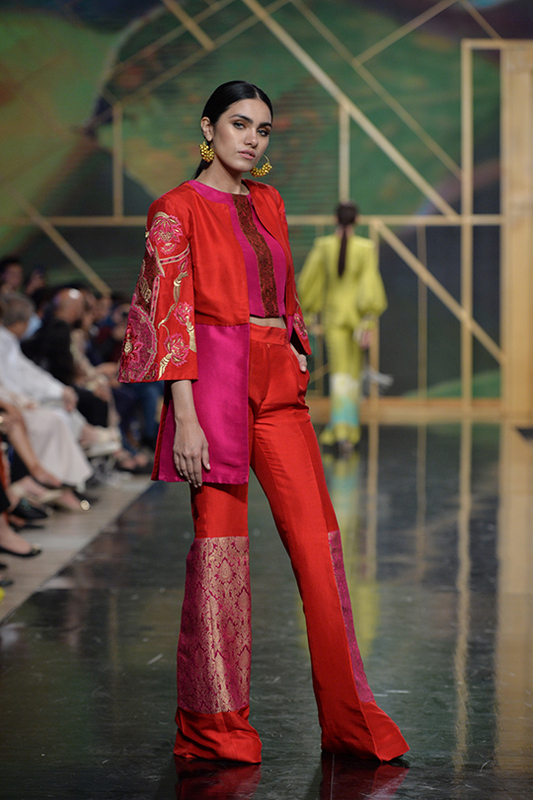 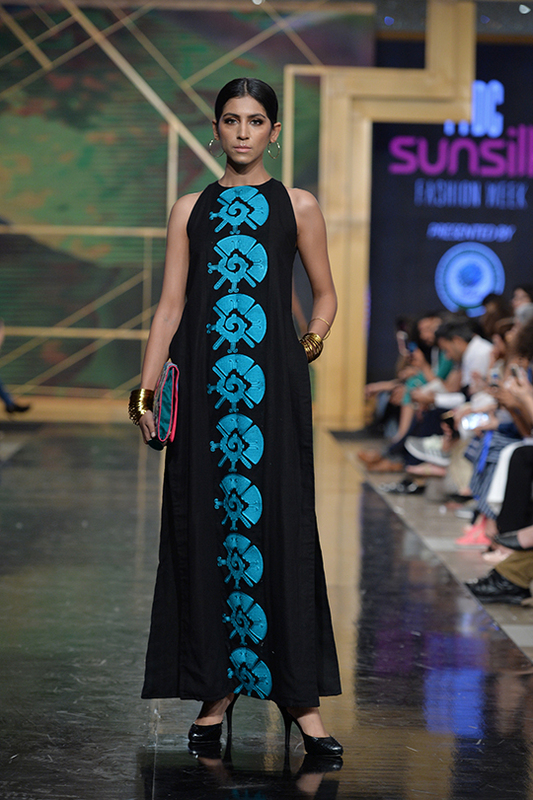 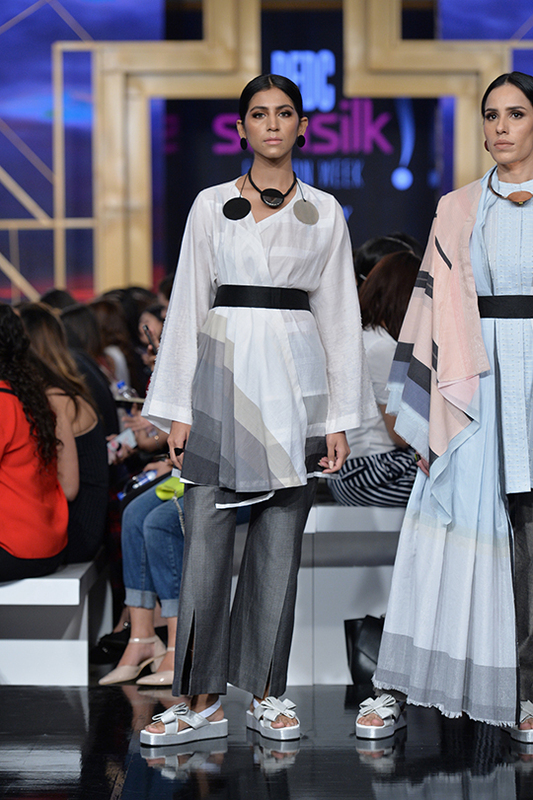 Nomi Ansari, Saira Shakira, Zainab Chottani and Tena Durrani Wow The Crowd On FPW Day 3!